10.22.06 You might think you were looking at the crosstables upside down because in both the Open and U1625 sections of the Maine Rating Floor Open, contested at Southern Maine Community College on Saturday, October 22, 2006, the lowest (that's not a typo, it says the lowest) rated players finished in the number one spots. Thanks to Jenny Campbell and Dan Fishbein for contributing to this report. 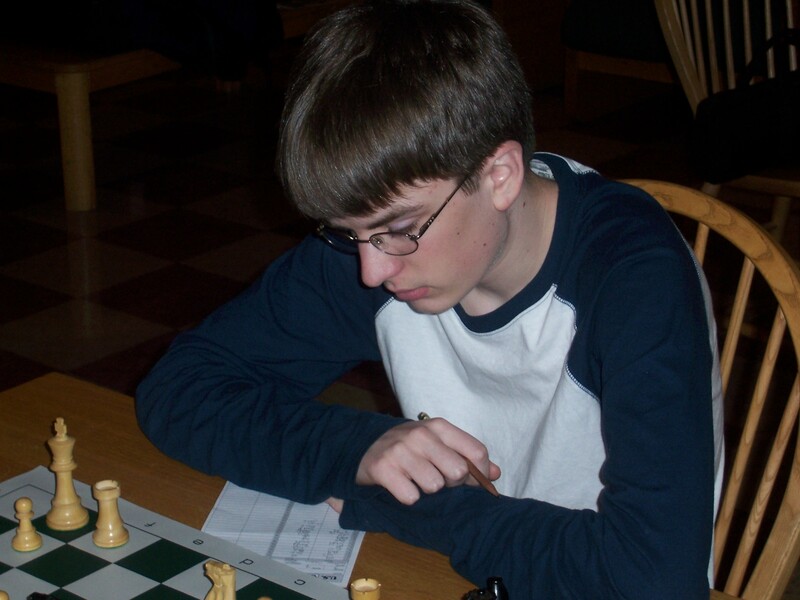 Measured by USCF rating, Derrick Crocker was twelfth out of twelve players in the Open section of the Maine Rating Floor Open and Matthew Fishbein was ninth out of nine in the U1625 section. That little detail didn't stop them from outplaying their opponents and taking first place in their respective sections. With 3.5 points in the U1625 section, Fishbein took clear first while Crocker's 3.5 got him a share of first in the Open section with expert Ruben Babayan. Also astounding in the U1625 section was next-to-last rated Matthew Colson who finished in next-to-first place, also known as second. A truly fantastic performance by these two up and coming scholastic players. 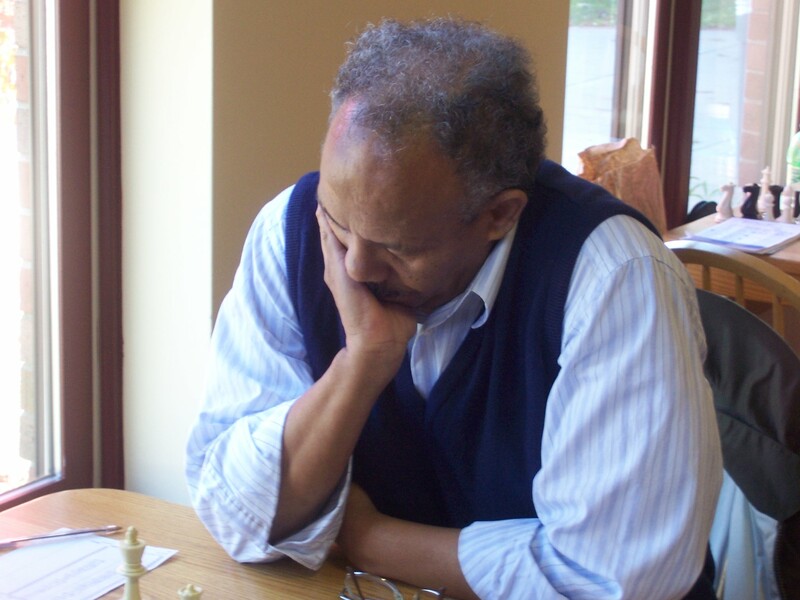 Curiouser and curiouser, top rated U1625 player Donald Plummer withdrew after the second round and therefore finished in last--exactly opposite his first place seeding number. 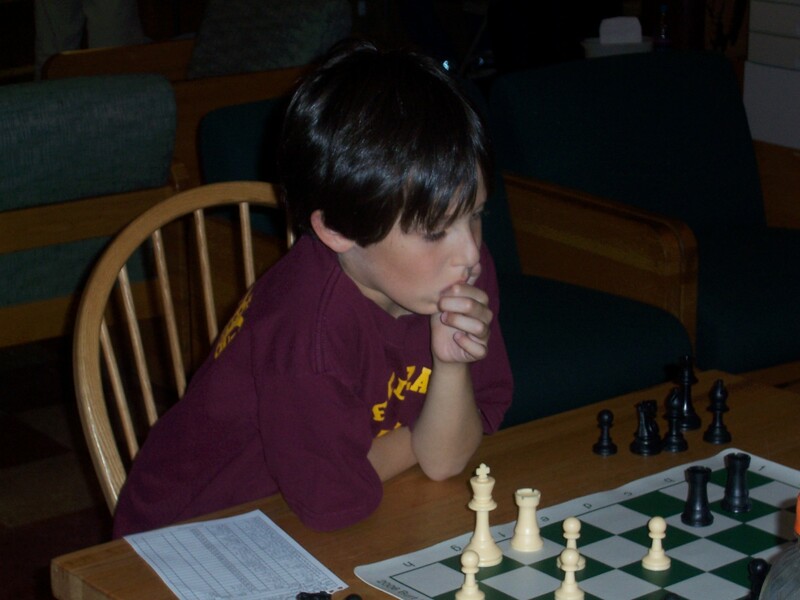 In addition to the Open and U1625 sections, there were also fifteen players in the Rated Beginners Open section. 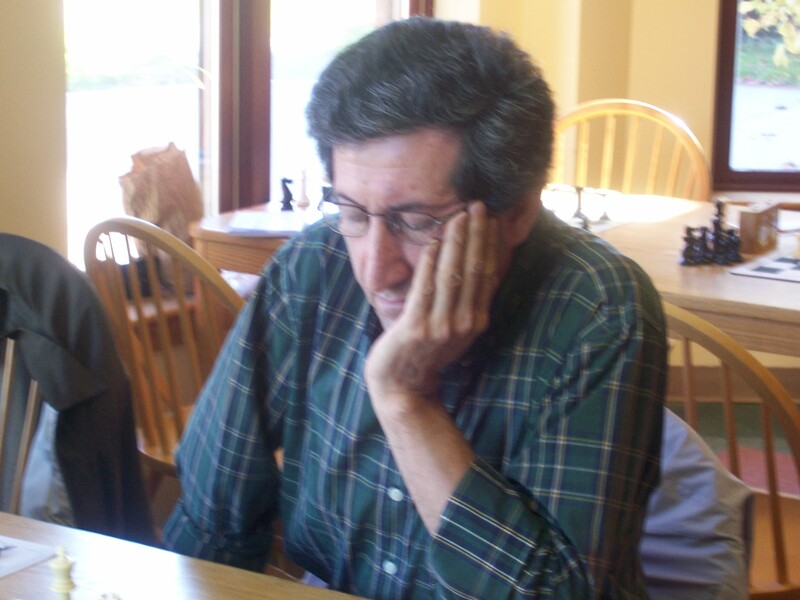 This section was open to players either unrated or rated under USCF 1200. A more traditional finishing order prevailed in this section with top rated Mark Seedner and second rated Franz Bisson sharing top honors each with 3.5 points. 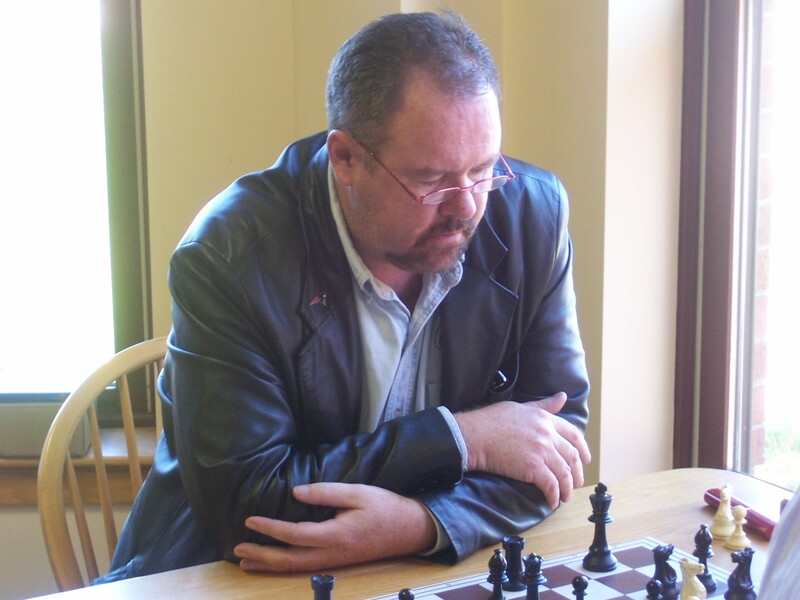 The event was a four round swiss style tournament with time controls at G/75 in the Open and U1625 sections and G/60 in the Rated Beginners Open section. 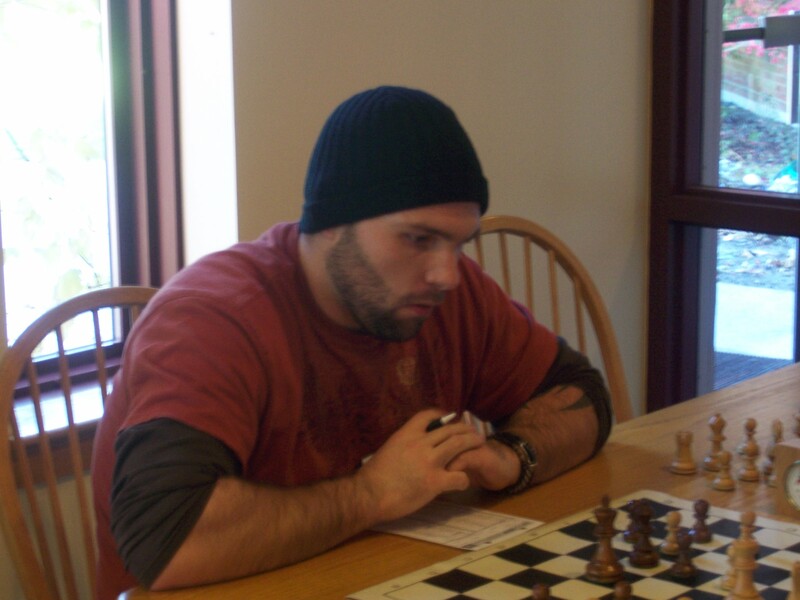 The event was directed by Maine Chess Association President Phil Lowell. 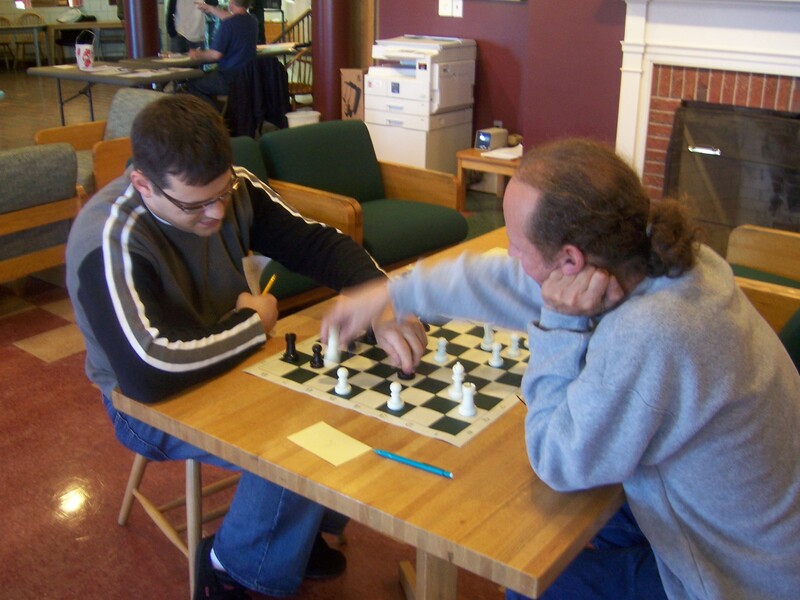 A total of thirty-six players participated. 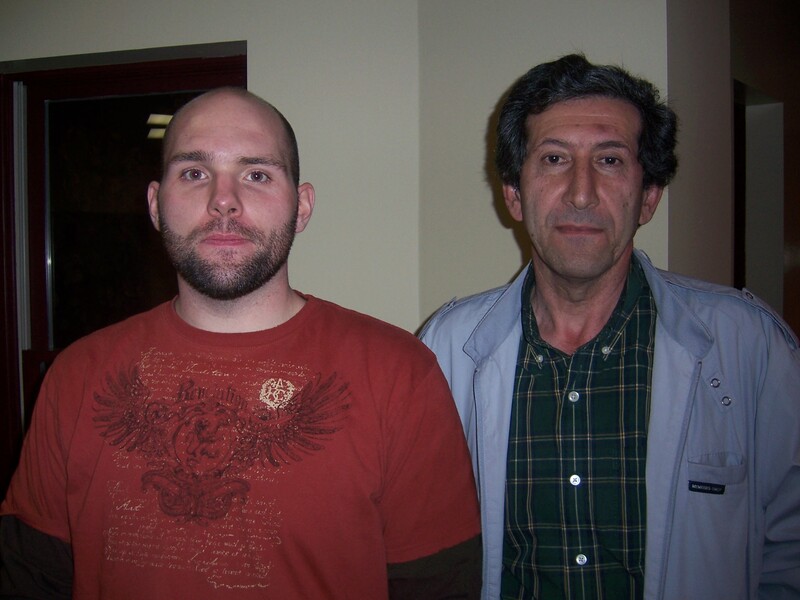 Matthew Fishbein receives $150 for his efforts from TD Phil Lowell. Expert Ruben Babayan in a familiar position--first on the crosstable. Derreck Crocker turned in an astounding performance. The last few moments of round 4 for the top boards in the Open section. Curt Brock scored 2.5 in the U1625 section. 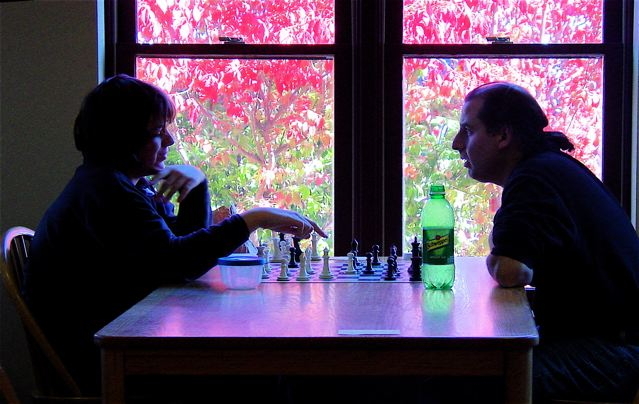 Andrey Savov (left) and Jerry Boucher analyzing after their first round game. Matthew Colson took second in the U1625 section. Lucas McCain and Dan DeLuca looking at possibilities after their first round game. 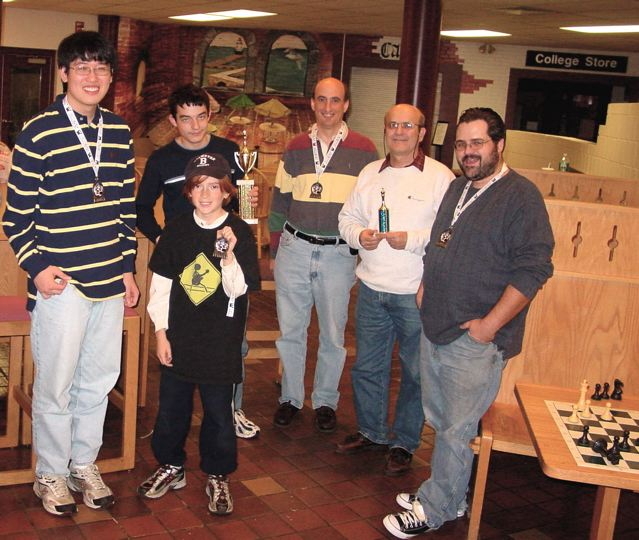 I played in the Maine RBO tournament on the 21st of October, 2006. I tied for 1st in the Beginner's section. I have not received the rated games and change in rating. 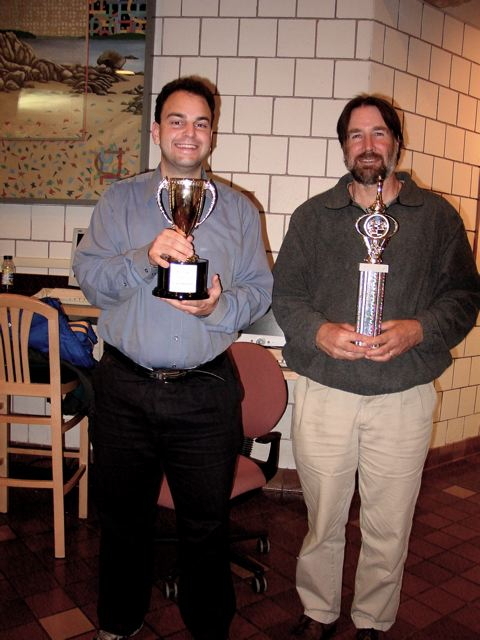 Please e-mail me and let me know if you have sent in the rating report of the Maine RBO tournament of October 21,2006. I have already called USCF and asked them my rated games have not been applied to my membership and they told me that they have not received the ratimg report of that tournament. 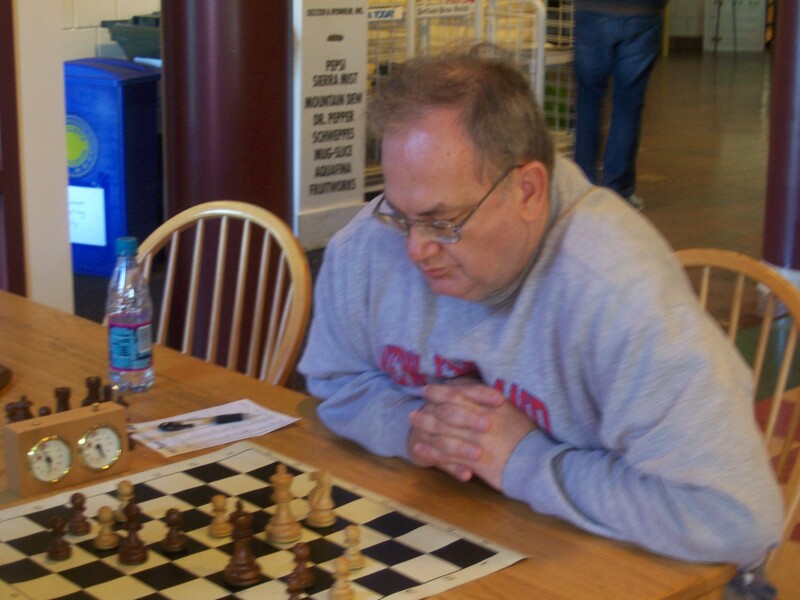 Phil Lowell was the Tournament Director; he is the person responsible for submitting the tournament report to USCF. 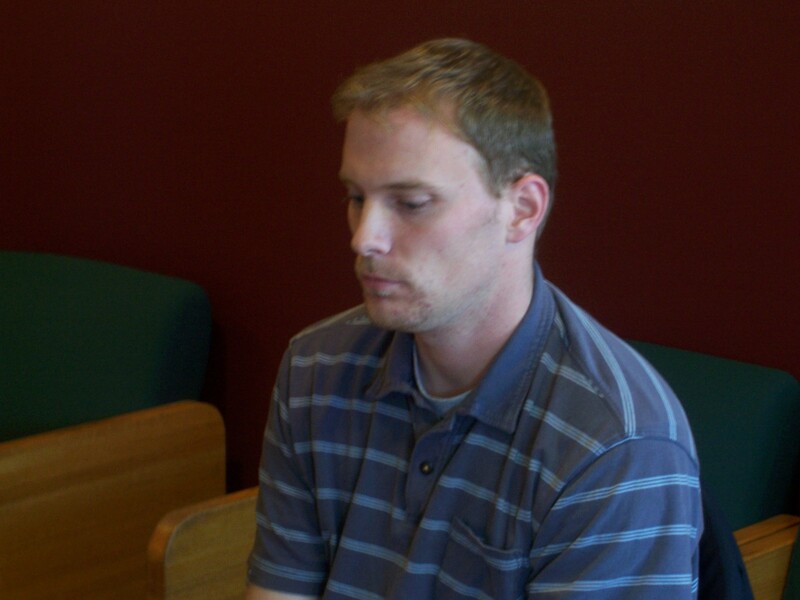 His email address is plowell2@maine.rr.com. Congratulations on your performance at the tournament.